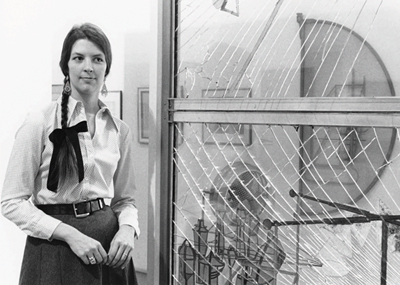 Anne d’Harnoncourt with Marcel Duchamp’s Bride Stripped Bare by Her Bachelors, Even (The Large Glass), 1915–23, Philadelphia Museum of Art, 1973. Photo: Patrick Radebaugh. NOW AND THEN, as a curator at the Philadelphia Museum of Art, I found myself speculating about what Anne d’Harnoncourt might have done had she not followed in her father’s footsteps as a museum director. University president? Supreme Court justice? Or US ambassador to the United Nations? For reasons I don’t quite understand, this game intrigued me, as my imagination delivered her diplomacy, eloquence, and erudition to sectors of American life sorely in need of them. Perhaps it was just fun to know well someone who was fully credible as a star in any of these roles.